This edited volume addresses one of the most significant issues in international strategic studies today: how to meet the challenge of a rising China? 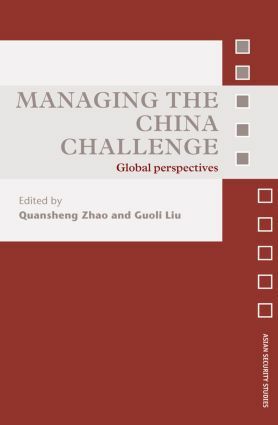 The contributors take a global view of the topic, offering unique and often controversial perspectives on the nature of the China challenge. The book approaches the subject from a variety of angles, including realist, offensive realist, institutional, power transition, interdependence, and constructivist perspectives. Chapters explore such issues as the US response to the China challenge, Japan’s shifting strategy toward a rising China, EU-China relations, China’s strategic partnership with Russia and India, and the implications of "unipolarity" for China, the US and the world. In doing so, the volume offers insights into some of the key questions surrounding China’s grand strategy and its potential effects on to the existing international order.